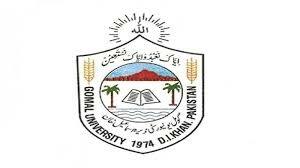 DI Khan, Gomal University DI Khan has announced the Gomal University DI Khan Admissions Open 2019 for the students in the MSc (Hons), MPhil and PhD programs. The interested candidates will apply online and they will send their application forms by the closing date of 25-03-2019 and the entry test of the candidates will be held on 30-03-2019. The entry test result 2019 will be announced on 03-04-2019 and the list of the passing will also be displayed online on the same date. The interviews of the candidates will be done on 04-04-2019 and 05-04-2019 and the list of the finally selected candidates will be displayed on 07-04-2019. The fee and dues will be deposited through the bank by the last date of 08-04-2019 and 09-04-2019 for Gomal University DI Khan admissions 2019 Higher Classes. Gomal University DI Khan will start the classes from 10-4-2019.